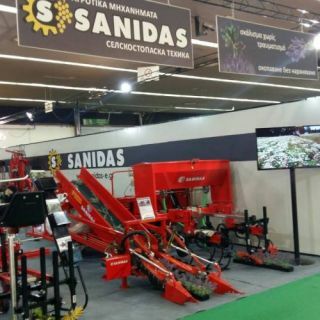 The Lavender harvesting machines are attached to tractors, driven by its hydraulic system and they cut the flowers of the lavender conveying them by a rubber band to the rear of the tractor, where these flowers are collected into bags or directly into a trailer. MKL 2R is a harvester designed to cut lavender by means of one-side header mounted to the tractor and transporting band moving the cut lavender from the header to the hitched trailer. A special mechanical unit lifts up the plants directly from the ground and the wave-shaped rubber band attracts them to the cutting device. Being cut, they are taken up by a moving transporter band which carries them to the trailer at the rear part of the tractor. MKL 2R is driven by hydraulics. The steering is manual through a joystick and 12V electrical power is activating the electromagnetic distributor. 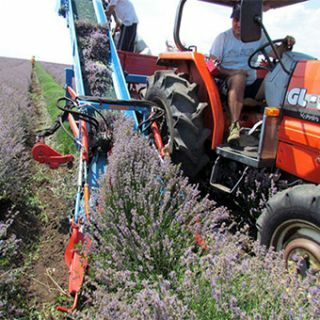 MKL 2K is a harvester designed to cut lavender by means of one-side header mounted to the tractor and transporting band moving the cut lavender from the header to the platform fixed at the rear of the tractor. A special mechanical unit lifts up the plants directly from the ground and the wave-shaped rubber band attracts them to the cutting device. Being cut, they are taken up by a moving transporter band which carries them rear of the tractor where an operator handles the cropped material standing in a fixed platform. Depending on the choice of the operator the cut flowers may be collected in big bags or they could be dischaged directly to the platform. In this case this platform becomes a container. MKL 2K is driven by hydraulics. The steering is manual through a joystick and 12V electrical power is activating the electromagnetic distributor. 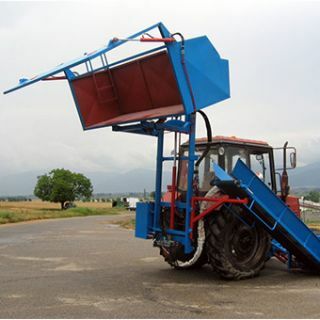 MKL 3R is a harvester designed to cut lavender by means of one-side header mounted to the tractor and transporting band moving the cut lavender from the header to the hitched trailer. MKL 3R is driven by hydraulics. The steering is manual through a joystick and 12V electrical power is activating the electromagnetic distributor. MKL 3K is a harvester designed to cut lavender by means of one-side header mounted to the tractor and transporting band moving the cut lavender from the header to the platform fixed at the rear of the tractor. MKL 3K is driven by hydraulics. The steering is manual through a joystick and 12V electrical power is activating the electromagnetic distributor.